Gillette – the best a brand manager can get! Sometimes it is good to do things differently. This was the case with work for the brand Gillette. 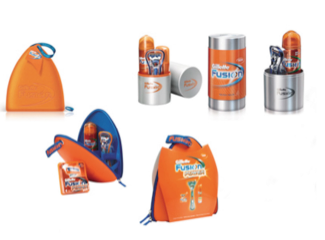 The brief was to develop a new revenue stream for the Gillette Fusion launch, via the gifting market. Using trend work as the basis for the packaging development was key. The giftpacks I created for the UK trade (incl; Boots, Tesco, Asda, Superdrug, Costco, Sainsbury’s, Waitrose, Wilkinson) were a runaway success. 780,000 packs were sold in the 3 months leading to Christmas, creating £6MM in sales for the brand, and £2MM in profit. The giftpacks were an important part of the launch programme and successfully helped drive trial momentum across the product portfolio, and encouraged regime use of the shave products alongside the razor innovation. Retailers were delighted with the sell through in store and many secondary sites were provided for the brand. Visually the packs were very eye catching on shelf, and were importantly, on trend, which helped with media pick up across grooming and fashion titles. 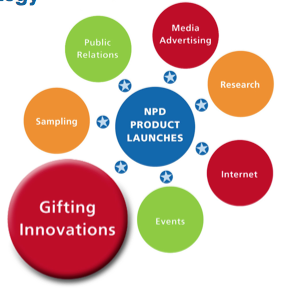 Going forward the brand now appreciates the added value of gifting, and how it can be a really important part of a brand’s new product development mix. A great project to work on! I will add more examples of case study work as time allows!